We take great pride in helping you create the wedding day of your dreams.  Our friendly team and expert Wedding Co-ordinators are on hand to ensure all your questions are answered, and everything runs smoothly. So why not sit down, have a chat and enjoy a personalised tour of our wonderful wedding venue. Use the form below and a member of our team will be in touch to discuss your requirements.